Computers – a category now very likely including the phone in your pocket – open up worlds of utility that previously required dedicated devices. Audio recorder? Metronome? Tuner? There’s really no reason that shouldn’t be right in the box. 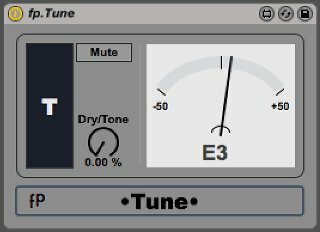 That said, our friend Marco Raaphorst was musing on the absence of a guitar tuner in Ableton Live – and in the process, reminds us that that other Berlin developer has quite the freebie for anyone who needs a tuner in Live, or simply wants a whole load of cool effects whether they play a guitar or not. Guitar Rig Player adds a fully-functioning guitar tuner to Ableton Live – the tuner Ableton left out. But it does more than that. You get a whole load of effects for instruments, enough stuff that producers who don’t play any instruments might want to give this a download. As with most things, it’s not entirely free. You have to give up your email address (though you aren’t required to opt into any newsletter), and you do have to install NI’s Service Center and enter a serial. That process was painless for me, though (having just repeated it on a brand new machine). Note that you’ll need to go into Components > Products and select “Factory Selection” to avoid the demos of other things. Once you do that, though, non Guitar Rig users get a tasty selection of tools you can easily combine into some powerful chains. Speaking of tuners, Marco also endorses the Max for Live fp.Tune, as he saw on CDM in our previous Max for Live round-up. 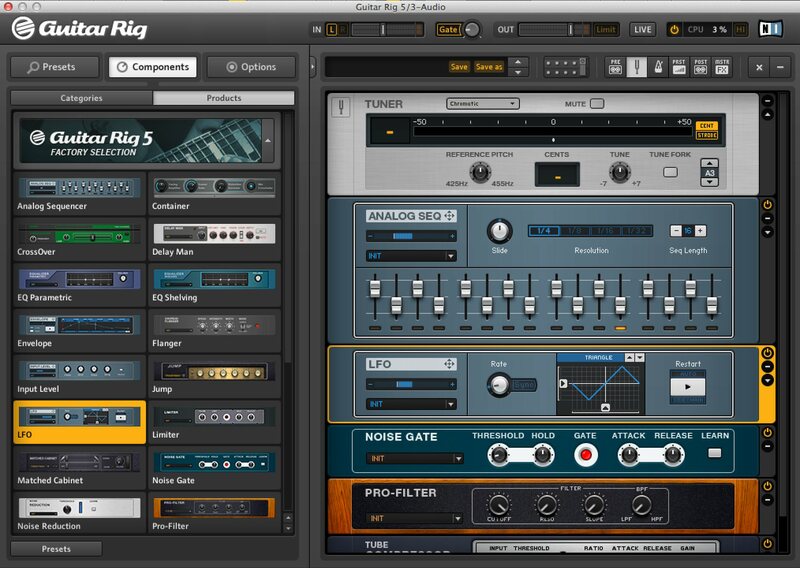 This is, naturally, more practical than Guitar Rig if you only want a tuner in your chain, as it integrates more neatly with Ableton – though it’s only free if you have Live 9 Suite. He also endorses smartphone tools, which have the advantage of working all the time – even when away from your lappy. But I’m curious, now. How do you assemble your signal chains for guitars and other instruments? And what are you using for a tuner? Built-in tools, like those found in Reason and Logic? Hardware tuners? Guitar Rig and the like? Your iPhone or Android? Some combination?